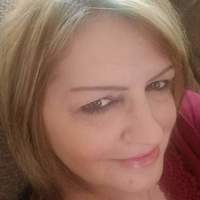 NOTARY PUBLIC PROFILE My name is Cynthia Gainey, I am a licensed Notary Public in Jefferson County, Ohio. I have a current E&O insurance coverage of $25, 000 and successfully completed NNA background screening which entitles me to receive a priority-status listing. My availability is in Jefferson, Carroll, Belmont, Harrison, Columbiana and Tuscarawas Counties to effectively perform the real estate and notary needs of the company. My quality professionalism speaks for itself. I am very confident that my experience in the business world for 20 plus years, also my degree in Administrative Technology and working as a Notary Public will be an excellent asset to your company. With strong knowledge of refinancing, home equity, reverse mortgage loans etc. I am equipped with a dual tray Laser Printer, and FAX. Currently accepting emailed and over-night packages. You'll receive an email containing Cynthia L.'s contact information so the two of you can work together on a signing.